I received my first paycheck as a writer this week. I ghost wrote a blog post for a beauty blog and that’s all that I am liberty to say about it. It pretty exciting to be a paid writer and I have another assignment due this week. Super proud of myself. I’m not going to strike it rich anytime soon, but it’s satisfying being able to earn money doing what you love. How did you feel when you sold your first book, first, poem, first article? My new blog friend and book club host M.L. 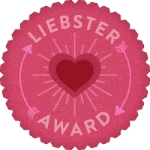 Swift gave me the The Leibster Award. Thanks so much M.L. I’m a little late with my anniversary plans. Since my actual anniversary was in February, I decided to celebrate the beginning of my second year of blogging by reaching out to some amazing writers to ponder and guest post on “Why do I blog?”. I received some insightful responses and can’t wait to share them with you. See the schedule below. What I Learned from the Editor: Round 1 by Jordanna East – Its great to understand your bad habits. May save time in your next project. Writing Madly to a Deadline and then Not Submit by Jennifer M. Eaton – Do you have this type of integrity and respect for your work. The First Time We Met: Memorable Characters and First Impressions by Felicia Scotzig – I can’t decide which character is my favorite. Out of the Mouths of Babes by Jemi Fraser – How does your story stack up to the check list? 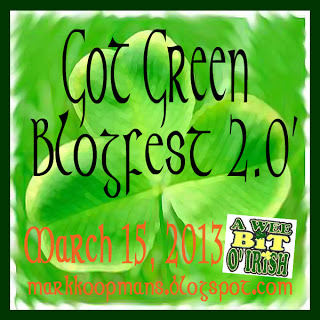 Friday – Got Green Bloghop – get your irish stories ready. Next Tameri, Why do you blog? Looking forward to your guest posts and I really like your organization as to what’s coming up…nice work. Thanks so much Mark. I appreciate all the support. I like how you have everything planned. Congratulations on your first paid gig. Here’s to many more. Congratulations, and thanks for the pingback! Yey – how exciting. I haven’t been paid for an article, but I did have two poems and a short story published, which is still the cause of the odd tummy butterfly. 😀 Every book sale is a buzz too. I’m new to this and can’t see that ever getting old. Vikki, I’m so sorry. I knew I forgot someone but couldn’t figure who. I saved your post in another spot on my computer. I’ll find you a date. Thanks for the shout out and congrats on the paid gig(s)!